In July, I signed up for the Android TV Developer Program. Without notification, they shipped me the developer’s kit and I received it yesterday in a plain brown box with a plain white box inside of it. There wasn’t any paperwork saying what it was or why I received it, but thankfully I remembered filling out the form months ago. 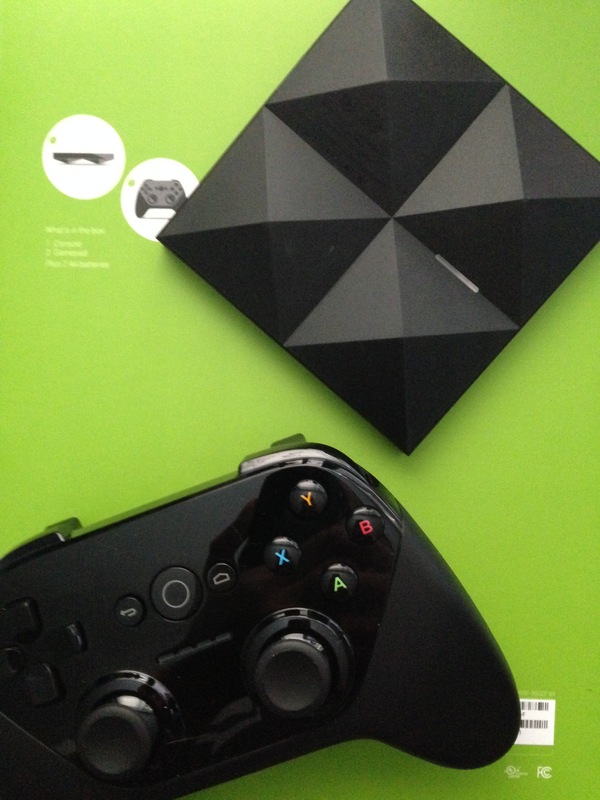 It’s about the size of the Amazon Fire TV and the game controller is almost identical, as well. One side of the device is smooth and shiny, the other side has triangular points and an LED light. It also comes with a USB developer cable you can use to hook it to your computer, or you can always sideload .apks via wi-fi and Terminal/Command prompts. Since I had recently ported one of my games to the Fire TV, I was able to modify the files to utilize the Android TV controller by using the codes on this page. So far, my impressions are that it’s just like the Fire TV except with less features, which is to be expected since it isn’t available to the general public yet. If you’re not a fan of the Apple TV or being stuck in Amazon’s ecosphere, it will definitely be worth checking out, though.